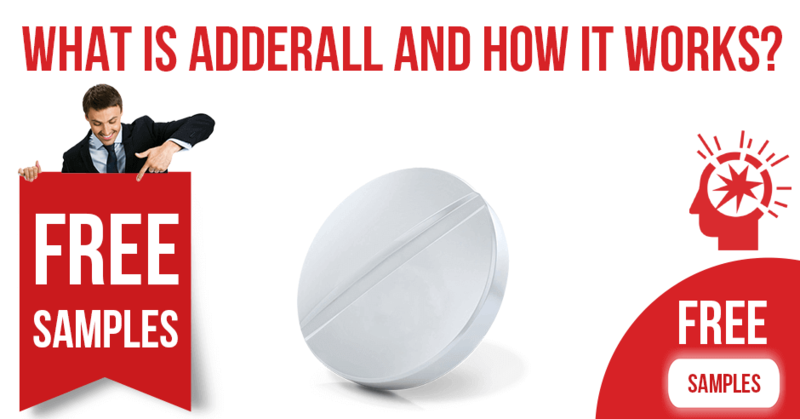 Home > Smart Drugs > What Is Adderall and How It Works? What Is Adderall and How It Works? Adderall takes full effect one to two hours after ingestion. The drug has a half-life of about 10 hours, meaning that after 10 hours, half of it has broken down. Although Adderall stays in the body for several days, its effect will wear off sooner than that. Learn about Adderal drug in this article. For what Adderal pills are used? How it works and how to get a prescription. Need an Adderall medication guide? You’ve come to the right place. Adderall was designed for ADHD treatment, but its usefulness extends beyond that. This article will give facts and information about Adderall, including what does it do, what it’s used for, how it works, and how to get it. Adderall is an amphetamine drug. Specifically, it is a combination of levoamphetamine and dextroamphetamine, which both stimulate the central nervous system. The drug increases wakefulness and concentration. It has also been shown to improve cognition, memory, and motivation. Adderall is FDA-approved to treat attention deficit disorder (ADD), attention deficit hyperactivity disorder (ADHD), and narcolepsy. We cannot discuss Adderall without discussing what it does to you. Adderall stimulates the production of epinephrine, colloquially known as adrenaline, increasing wakefulness and alertness. Adderall also binds with the receptors for dopamine and norepinephrine, enhancing cognition and producing a euphoric effect. How Can I Get a Prescription for Adderall? In patients who have ADD or ADHD, Adderall focuses attention and has a calming effect. This happens because Adderall can actually inhibit or reverse the transport of certain neurotransmitters in the brain which cause hyperactivity in patients with ADHD. How fast does Adderall work? Adderall instant release (IR) will last for about 5 hours and typically has to be taken twice a day, if needed. Adderall extended release (ER) only has to be taken once a day. What pharmaceutical company makes Adderall? The answer is an Irish drug company called Shire Pharmaceuticals. Adderall is a part of the stimulant family of drugs. This kind of drug speeds up the activity of the central nervous system. Adderall’s components, levoamphetamine and dextroamphetamine, are related to methamphetamine, although not exactly the same. Adderall is made out of levoamphetamine and dextroamphetamine, which are derivatives of the amphetamine molecule. 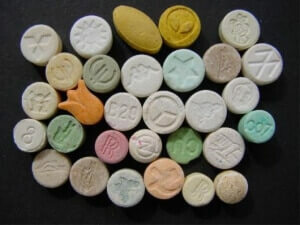 There are different types of Adderall pills manufactured. 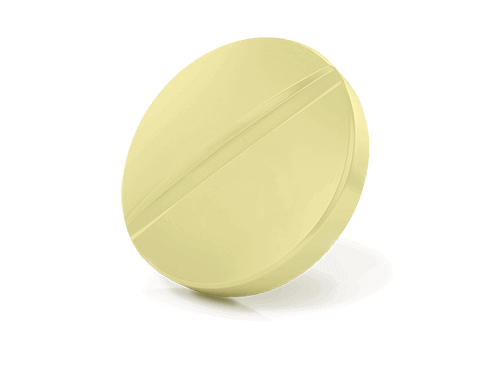 An Adderall pill looks like an orange, circular tablet, or an oblong blue or orange capsule. Do I Need a Prescription for Adderall? Adderall is a medicine that can only be purchased commercially from a pharmacy with a prescription from a doctor. 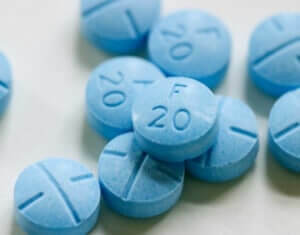 Adderall has a schedule II drug classification from the federal government, meaning that it has an accepted medical use, but it also has a high potential for abuse. Schedule II drugs are tightly regulated by the government. What Type of Doctors Prescribe This Drug? Another question you might have about Adderall is what doctors prescribe it? Adderall will typically be prescribed either by a general practitioner or a psychiatrist. A psychiatrist will be more qualified to assess the symptoms of and deliver a diagnosis of ADD or ADHD. There are many reasons for taking Adderall, including ADD treatment, narcolepsy treatment, depression treatment, and for academic enhancement. The following sections explain in more detail why do people use it and what can it treat. First, let’s define ADD and ADHD. These conditions are characterized by extreme difficulty concentrating, inability to stay focused on a single task, constantly moving from incomplete task to incomplete task, and repeatedly getting distracted by things that are unrelated to the task at hand. Individuals with ADHD also suffer from chronic fidgeting and the inability to sit still. Children with ADD and ADHD often struggle in school because they are unable to focus on their work. They often receive poor grades because they cannot stay focused long enough to complete assignments or to study for tests and quizzes. They are also often classified as having “behavioral issues” because they frequently disrupt the class. Adderall is FDA-approved for long-term treatment of ADD and ADHD in adults and children. The drug treats both these disorders by acting on the brain receptors to enable concentration and focus. It helps people with ADD and ADHD complete schoolwork and other day-to-day responsibilities without repeatedly being distracted by irrelevant things. Adderall also helps with social focus. People who have ADD and ADHD often have trouble focusing in social situations. They may be unable to stick to the topic of conversation, and they may chronically interrupt the people they are interacting with. Adderall helps ADD and ADHD sufferers focus socially as well as academically or professionally. 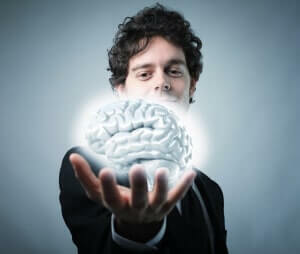 The same mechanisms in the brain influence the ability to focus in all situations. Narcolepsy is a neurological condition characterized by an inability to stay awake. The brains of people with narcolepsy cannot control the sleep-wake cycle like the brains of normal individuals. People with narcolepsy experience excessive sleepiness during the day, even if they get a full night’s sleep. Many people with narcolepsy also experience sudden, unpredictable losses of muscle strength. Adderall is FDA-approved to treat narcolepsy. It works by stimulating the endocrine system to produce epinephrine, or adrenaline, which promotes wakefulness. Narcolepsy can also be treated with other non-amphetamine drugs, such as Modafinil (brand name Provigil). The definition of depression is a psychological condition characterized by chronic sadness, loss of interest, apathy, fatigue, and lack of energy. In some cases, people with depression also suffer from low self-esteem, loss of appetite, and changes in sleep patterns and their ability to concentrate. Adderall is not FDA-approved to treat depression, but some psychiatrists still prescribe it for depression in some cases. Adderall is never a psychiatrist’s first choice to treat depression. They will start with an antidepressant and see if that works. But if a patient has treatment-resistant depression (TRD), and traditional antidepressants are ineffective, Adderall may be prescribed for depression. Adderall is an effective treatment for depression because it acts on dopamine and norepinephrine receptors in the brain. Adderall can also eliminate the symptoms of apathy that come with depression, and this is something that traditional antidepressants cannot do. An advantage of Adderall is that it works almost immediately, whereas traditional antidepressants take three or more weeks to take full effect. Many people use Adderall for studying. It has become a popular study drug among college students who need to write long papers in a short period of time or cram for an exam. Adderall can help you stay awake for longer to get in more study time or writing time, and it also helps you focus on your work without getting easily distracted. What is the generic name of Adderall? It is simply known as Amphetamine and Dextroamphetamine, and generic Adderall capsules will say, “M. Amphet Salts.” Because the scientific name, or medical name, of Adderall is so long, the drug is pretty much universally known as Adderall. There are other meds like Adderall that have slightly different ingredients or chemical makeups but work the same way: by stimulating the brain with a compound similar to amphetamine. Ritalin, Methylin and Focalin are related drugs made of the active ingredient methylphenidate. These drugs tend to be shorter-acting than Adderall, but there are longer-lasting versions of them available. Dexedrine and Dexedrine Spansules are two other ADHD drugs made from dextroamphetamine, one of the ingredients in Adderall. These drugs are longer-acting than Adderall. Another option is Vyvanse, which contains inactive dextroamphetamine. This means that the substance in the pill does not get converted into dextroamphetamine until after it is ingested. 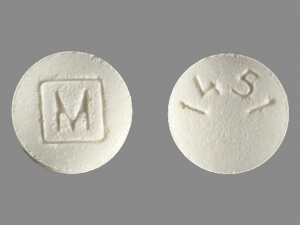 Because the drug is gradually converted, Vyvanse often produces fewer side effects than Adderall or dextroamphetamine drugs. If you experience any extreme side effects, you should stop taking the drug. As mentioned in the above section, there are other drugs similar to Adderall that may produce fewer side effects in certain patients. Adderall is safe when taken as directed, but it does come with potential side effects listed in the above section. Adderall carries significant health risks when it is not taken as directed. Some people will crush Adderall tablets and snort it like cocaine in order to get the effect more quickly. In this context, Adderall is typically being used as a recreational drug, to achieve euphoria and excitability. Snorting Adderall is extremely dangerous because it sends the drug immediately into the bloodstream. The brain may get overwhelmed by the amount of amphetamines it receives and won’t be able to break down the drug. This can result in Adderall overdose. Signs of Adderall overdose include racing heartbeat, seizures, severe confusion, and psychosis. An overdose can devolve into a stroke or heart attack and sudden death if it is not treated quickly. Less severe side effects of snorting Adderall include damage to the nasal and sinus cavity, respiratory infections, and lung damage. If you are going to take Adderall, always take it orally, and do so only according to the dosing instructions on the bottle. Adderall comes with a risk of dependency. Because it is an amphetamine, it has the potential to lead physical or psychological dependence just like methamphetamine or opiates, two drugs that are in the same class as Adderall, as determined by the United States federal government. Adderall addiction is atypical when it is taken as directed by people who suffer from genuine ADD or ADHD. But when it is taken in a higher dose than directed, or it is taken by non-ADD sufferers, the chances of dependency are higher. Here’s how to get a prescription for Adderall: First, familiarize yourself with the symptoms of ADD or ADHD. Symptoms include an inability to focus on tasks, frequently being distracted by unrelated stimuli, inability to complete tasks, chronic procrastination, forgetfulness, excessive fidgeting, difficulty staying focused in social situations, and constantly interrupting. Make an appointment with a psychiatrist and tell the doctor and give a description of your symptoms. Explain that you suffer from an inability to focus, whether that’s on your schoolwork or on your professional work. Talk about how that inability to focus has impacted your grades or your performance reviews at work. Give good reasons for prescribing Adderall. It’s best not to mention Adderall before the doctor suggests it. You want the psychiatrist to think that your goal is to improve your symptoms, not to acquire a particular medication. Can I buy Adderall online? There are websites that sell Adderall, but purchasing from these websites comes with a risk so always choose a reputable online pharmacy like such as modafinilxl.com. Remember that Adderall is a Schedule II drug, meaning that it falls into the same class as methamphetamine, oxycodone, and other opiates. Buying and selling schedule II drugs online may present risks because there is a record of every transaction. It is also possible that Adderall purchased online may not be true Adderall. Adderall is a stimulant containing amphetamines, which come with risks when not taken as directed. For this reason, you want to be sure you are taking the FDA-approved version of the drug. If you don’t feel comfortable going to a doctor to get an Adderall prescription, there are similar drugs that you can obtain more easily which can serve as a substitute for Adderall. Modafinil, Modalert, Modvigil and Waklert are all drugs that help you stay awake, and can be purchased online. These drugs are not amphetamines, so they are not regulated like Adderall is. Taking one of these medications can help you stay awake so you can study, but they may not help you concentrate if you have problems focusing. If you want to know, which drug to prefer, read this article about comparison Armodafinil, Modafinil, Adrafinil, Nuvigil and Other Drugs. We hope that it helps you! ← Waklert and Coffee – Is It a Good Way?